William Sansom. 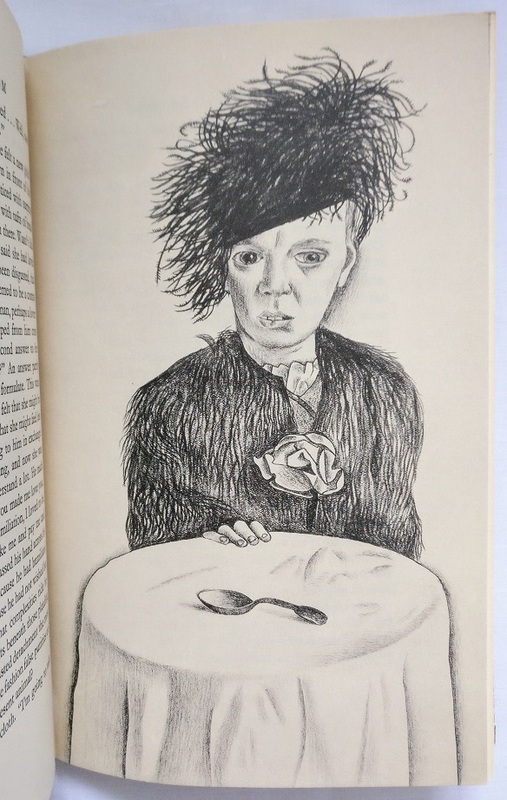 With illustrations by Lucian Freud. London. The Hogarth Press. 1948. First edition. Limited to 750 copies, of which this is no. 118. 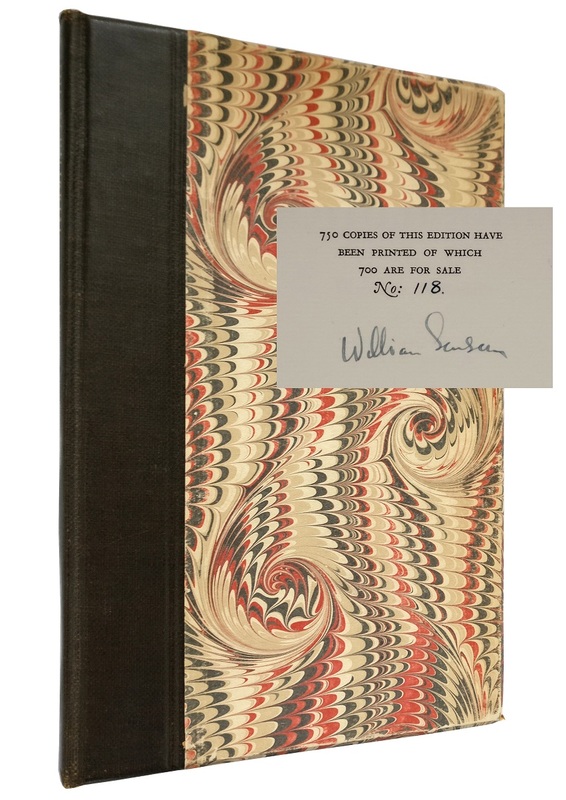 Signed by William Sansom on limitation page. Marbled-paper boards, backed with black buckram, gilt title to spine. 46 pages. 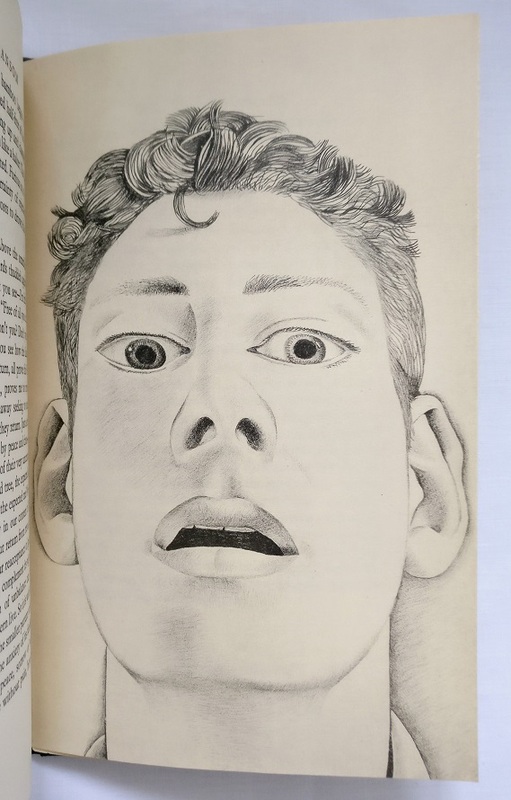 5 hors-texte plates by Lucian Freud. 225 x 150mm (8¾ x 6"). 0.25kg. . English. Very good; light surface rubbing to edges of boards and head and base of spine, paper worn at lower forecorners, browning to endpapers as is usual, no inscriptions. 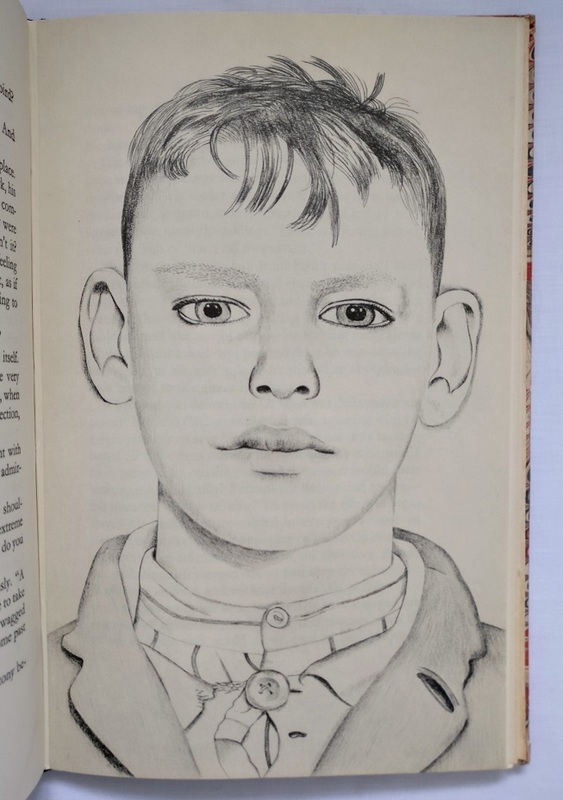 William Sansom's novella about a man who loses his body's equilibrium is illustrated with five of Lucian Freud's precise and intricate pencil drawings. The illustrations are 'Startled Man : Self Portrait', 'Ada', 'Boy On The Stairs', 'A Walk To The Office', and one other. The Equilibriad is the second book that Freud illustrated, after Nicholas Moore's The Glass Tower (1944). It was a medium that he did not continue with in later years. The book was dedicated to Osbert Sitwell.